Why to attend Probiotika 2019? On behalf of Organizing Committee, we invite all the participants from all over the globe to attend “Probiotika 2019” conference designate as “3rd International conference on Probiotics, Prebiotics and Synbiotics” scheduled during October 23-24, 2019 Amsterdam, Netherlands. The nutrition supplemented with the beneficial microbial flora and the associated microbiome in human gut, restoring the human digestive system as a whole is said to be the “Probiotics”. Probiotics are contained with a range of food and nutrition products such as dietary supplements, medicinal foods, biopharmaceuticals and medical devices delivering probiotics. Prebiotics foods are taken as dietary ingredients to maintain the Biological Symbiosis with the microbial flora. Dietary supplements created through the synergism of Pro and Pre-biotic are the Synbiotics. Probiotika 2019 is an unprecedented event planned for specialists to empower the spread and use of research revelations on Probiotics & Prebiotics, Food science, Nutrition and Microbiology, Immunology, Biochemistry, Skin Microbiota, Gut Microbiome, Digestive Health, Industrial Production and Dairy Technology, Human Microbiome, Diet and Health, Obesity and Weight Management, Molecular Genetics, Nutrigenomics and Personalized Nutrition, Sports Nutrition, Pediatrics, Emerging Companies in probiotics and Probiotics Entrepreneurship. The main theme of the conference is “Probiotics for Healthy Gut Nutrition”. We are putting endeavours towards a healthier world moving forward to find the possible ways in replenishing the microbial flora towards a healthier life. This meeting includes current research, advancement and discovery of probiotics, prebiotics, food innovation and nutritional science. The conference is intended to energize the trading of thoughts over a wide scope of disciplines from the scientific areas of food science and technology, microbiology and genetics, and preventive cure using nutritional therapy. Let’s join hands with us and the most grounded scientific community, industrialists and young researchers in making an inventive world free from diseases. Probiotika 2019 is intended to give a chance to the specialists in the field of Probiotics, Gut Microbiome to analyse latest progressions and challenges in this field. It is proposed to give a nutritive dieticians stage to Probiotics’ and Gut Microbiome researcher, scientists, and clinical nutritionists. 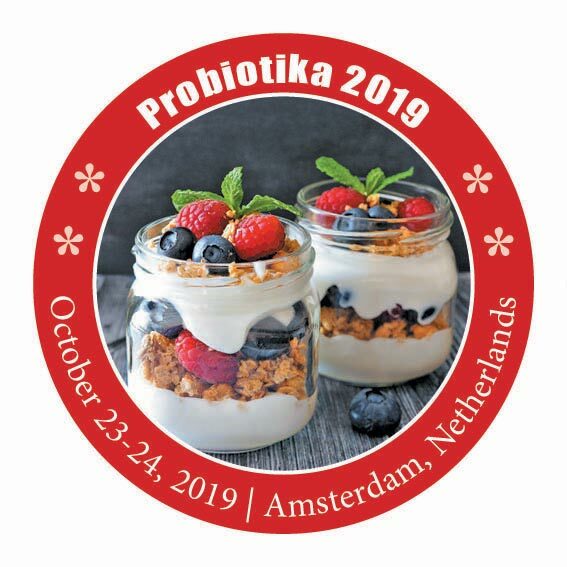 Probiotika 2019 welcomes prominent Researchers, Specialists, Presidents, Delegates and experts from Probiotics and Prebiotics, Skin Microbiota, Digestive Health, Food and Nutrition Industry, Food Microbiology, Immunology, Biochemistry, and Molecular Genetics to participate in the natural exploratory sessions, B2B meetings and breakout get-togethers over the tea-coffee breaks and cocktails. Pick up bits of knowledge about the most recent science and add on your knowledge beyond your scientific field of expertise. The dynamic and cross-discipline scientific program will be another way that connects and sorts out the selective session interest from the program. Probiotika 2019 attracts both, dignitary in their fields and best in class ability. The meeting will attract dynamic members including students, academicians, associations, policy makers and other high level decision makers. With this fluctuated sort of support come more chances to search out funding for new research and get quality criticism before disclosing your research in an associate investigated journal. The meeting offers boundless abundant chances to connect with your colleagues from different foundations and regions. Lift up your connection with your associates at the opening ice breaker gathering and interface with individuals who spend significant time in your field amid day by day organizing breaks. Probiotika 2019 can help you to accomplish your profession objective and increment your value to potential scientific eminence. Try not to miss the chance of worldwide systems administration in exchanging and trading thoughts. See the important role of Probiotics and Prebiotics in maintaining a healthy Gut. Consider strategies to address issues relating health and safety through Probiotics and Prebiotics products. • Building up their scholastic and expert connections. • Improving their assurance and certainty of showing research in an international platform. • Clearing your restraints of acclimating to the remote condition. • Providing a comprehensive affair of scholastic tourism. Your attendance and participation will be greatly appreciated as we seek to strengthen the expertise in the field of Probiotics & Prebiotics, Gut Microbiome and Food science and Nutrition!! Presenting authors are responsible for registration, travel, and hotel costs. Note: Those with accepted abstracts will receive an acceptance mail allowing them to register for the conference. Probiotika 2019 organizing committee hereby reiterates that we are NOT authorized to assist with any Visa application works. You may be required to submit a Letter of Invitation, Letter of Abstract Acceptance and Registration Payment Receipt to the embassy. Token Amount: Token amount of USD 200 can be paid and payment receipt can be a proof for payment and may help with your VISA application.